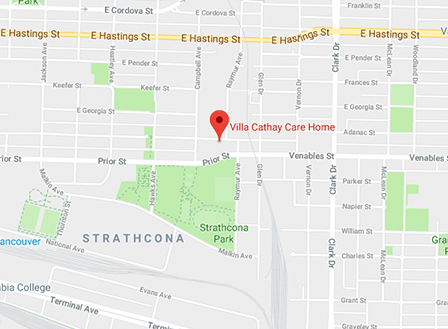 The Villa Cathay Care Home Society is incorporated as a non-profit organization under the BC Society Act and a Canadian Registered Charitable Organization. 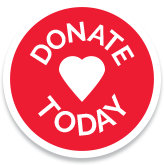 We strive to create a home-like environment where elderly residents can find comfort, love, respect and dignity. Our priority is providing quality individualized professional care. The highest caliber of care in meeting the daily needs and wellness of our seniors. Professional services that exceed the expectations of residents and their families. Positive encouragement and nurturing to enrich our seniors’ quality of life. Respectful and dignified professional care for our residents. An environment of serenity through culturally focused recreational programs, language and meal programs. Frank and open dialogue with residents, families and each other. Innovative services to meet new and emerging professional standards. During the Gold Rush and the building of the Canadian Pacific Railway many Chinese immigrants settled in the Lower Mainland. Vancouver’s Archbishop Timothy Casey realized there was an urgent need for housing and medical services for Chinese seniors. He invited the Missionary Sisters of the Immaculate Conception of Montreal to set up a hospital. The hospital became known as the Oriental Home opened its doors on Campbell Avenue in the spring of 1922. The 6-bed Oriental Home served Chinese seniors who would otherwise be homeless. In 1972, the Oriental Home was expropriated for industrial expansion. The Canadian Census of 1976 reported that there were 4,990 Chinese residents over the age of 65 living in Vancouver. Half of them were living alone in rooming and row houses on the fringes of Chinatown. There was a clear need for a care home that served this unique community. A group of altruistic and philanthropically minded Vancouver professionals were concerned. Together, they formed the Villa Cathay Care Home Society and purchased a 48,330 sq. ft. parcel of land from the City of Vancouver for a new care home. The Society took a loan to begin construction at 970 Union Street. The Villa Cathay Care Home was formally opened on March 1, 1978. It became the first non-profit care home in Vancouver specializing in culturally oriented services for Chinese seniors. Eventually, the need for services exceeded the capacity of the original home. To meet the growing need, an East Wing was added in 1991 to expand the capacity of the home. The Villa Cathay Care Home has been proudly serving the community for more than 40 years.